We care for the parts that keep you moving. When a bone, tendon, or joint doesn’t work like it’s supposed to, we offer a full range of orthopedic services to help get you back to the life you enjoy. Our team of orthopedic specialists handles everything from torn ligaments to total joint replacement and minimally invasive surgery, including robotic partial knee resurfacing and robotic total hip replacement. Sebastian River Medical Center is participating in a Medicare initiative called the Comprehensive Care for Joint Replacement (CJR) model. 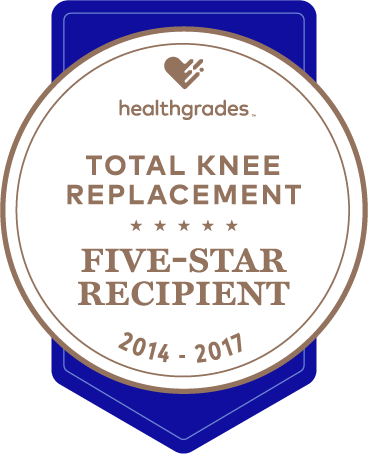 The CJR model aims to promote quality and financial accountability for care surrounding lower-extremity joint replacement (LEJR) procedures, commonly referred to as hip and knee replacements and/or other major leg procedures. The following list includes health care providers and suppliers that have established a collaborator agreement with Sebastian River Medical Center in order to share in financial rewards and/or losses in the CJR model. If you have questions or want more information about the Comprehensive Care for Joint Replacement (CJR) model, call Sebastian River Medical Center at (772) 589-3186 or call 1-800-MEDICARE. You can also find additional information at the cms.gov website. CJR Collaborator selection shall be made in accordance with all relevant laws and regulations, including the applicable fraud and abuse laws and all applicable payment and coverage requirements as defined for CMS model and the CJR programs. Selection criteria are not based directly or indirectly on the volume or value of referrals or business otherwise generated by, between, or among the hospital, CJR collaborator, and any individual or entity affiliated with the hospital or CJR collaborator. (1) Skilled nursing facility (SNF); (2) Home health agency (HHA); (3) Long-term care hospital (LTCH); (4) Inpatient rehabilitation facility (IRF); (5) Physician; (6) Nonphysician practitioner; (7) Therapist in private practice; (8) Comprehensive Outpatient Rehabilitation Facility (CORF); (9) Provider of outpatient therapy services; (10) Physician Group Practice (PGP); (11) Hospital; (12) Critical Access Hospital (CAH); (13) Non-Physician Provider Group Practice (NPPGP); (14) Therapy Group Practice (TGP); (15) Accountable Care Organization (ACO). Centers for Medicaid & Medicare Services The Centers for Medicare & Medicaid Services, CMS, is part of the Department of Health and Human Services (HHS). Watch a short video to get to know about us and our work, mission, and vision. Or watch a longer version to also get to know the programs we administer including: Medicare, Medicaid, the Children’s Health Insurance Program (CHIP), and the Health Insurance Marketplace.